Please note that both Exchanges are conducting special trading sessions on Tuesday, October 28, 2008 for muhurat trading on account of Diwali. Market Opens – 6.15 p.m.
As India Infoline guessed last 3 weeks Nifty levels correctly, their current weekly wrap is eagerly awaited. This week they made a hazard guess of 2350-2400 as support levels for Nifty. For their full report please click here. 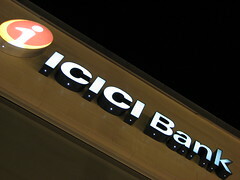 ICICI Bank, the country’s second largest lender, has raised its home loan rates by 100 basis points for new borrowers. The bank raised its floating rates from 12 per cent to 13 per cent, while the fixed rates were hiked to 16.5 per cent with effect from October 10. The bank clarified that the new home loan rates are not applicable to its existing customers. Despite a slew of measures taken by the Reserve Bank of India (RBI) to ease the liquidity condition, the private sector lender has hiked its home loan rates in response to a high cost of funds. The bank’s home loan rates, which are now among the highest in the industry, have been raised without any public announcement. The bank said it sent letters to loan applicants, detailing the new rate structure. Increasing lending rates to new customers would definitely decrease the ICICI bank home loan business. As this measure is not applicable to existing home loan customers, ethically we should not find fault with the bank. Do not take only 1 out of 8 recos, build a portfolio of positions. Select minimum of 2 analysts out of the 4 and take all the recos of the selected analysts. You can also select all four. Take both recos of each analysts selected. Divide ur capital equally into the no of recommendations to be invested in. (if 4 recos selected, divide into 4 parts. If stock opens 5-6% up, its not a negative, the market just confirmed the analyst's opinion. For shorter term players, cut the losers out of that portfolio by end of the day, regardless of stop being hit or not. Carry the winners, as a winning trade is likely to get more profit if held overnight. Remember context of the market while taking the calls. In a wildly bullish or bearish mkt, most calls work. In a choppy mkt, the probability of calls working is lower. Do not add to losing positions, winning positions may be added to, in a lower proportion. Above are the Guidelines issued by POWERYOURTRADE.COM for their customers which I think suitable for traders in General. BLOOD DONOR WILL CALL U. So please pass this message to all. It can save many lives. Thanks to Dr.Elangovan of M/s.Iris Life Solutions Pvt Ltd for this information. CNBC - TV18 has sent a SMS to all it's subscribers stating that that SEBI has asked FII's to cover all their borrowed short positions very soon. But the new reports coming out contradicts this. The fact is that SEBI has not issued directive to FIIs to unwind existing positions reports CNBC TV18 quoting Sources. SEBI does not want fresh positions to be created. SEBI is yet to collate total outstanding positions data. Traders took long position based on the first SMS burnt their fingers. CNBC is expected to act prudently. I expect market would bounce back from its lower levels. This is not a right time to go short. Polaris and 3i Infotech, Chambal Fertilizers and RCOM can be purchased as swing trading picks. HDFC announces 2-in-1 Home Loan that provides customers with a choice of breaking up the loan requirement into Adjustable and Fixed Rate loans. Customers benefit both ways, as it helps them hedge their interest rate risk against rising interest rates to the extent of the fixed rate portion of the loan and take the advantage of falling interest rates, with the Adjustable Rate portion. 2-in-1 Home Loans can be taken in any proportion. With no prepayment charges* under the Adjustable Rate Home Loan, customers planning to make part prepayments can take a portion of the loan intended for prepayment under Adjustable Rate loan option; the rest can be taken under Fixed Rate Loan option. A bank strike tomorrow (October 21, 2008) is expected to hamper payment and settlement activities in banks. Hence, please note that stocks bought on October 20, 2008 should not be sold on October 21, 2008 as the settlement for trades done on both these dates will be done on October 23, 2008. Sify Mail rebrands itself into SIFYMAILWIYI from 21.10.2008. It is going to give all gmail features except IMAP access. It also announced that FREE POP access. All other settings are same as Gmail. For Sify/Gmail setting please click here . Even though the Sensex breaks 10000 mark, the market is expected to advance in this week(due to both fundamental and technical factors). This would happen despite FII selling. But this advancement may be short lived and the individual investors are expected to dump their holdings now.Hence market would be very volatile. This week rumors would rule the market.Risk-Reward ratio is strikingly favors the Risk. Hence all are advised to stay away from the market. Nifty may hover around 4420 - 4560 may trade lower. Erratic power supply forced me to write this post from my mobile. As overseas markets are treading lower, Nifty may trade within a range of 4420- 4560. Keep all your postions intra day as markets are changing every passing minute. Still I am very optimistic and market would soon move past 3800 may touch 4000 soon. The keys are with Indian Mutual funds. Trade well. Stay away from financial sector and brokerage companies. ICICI BANK may trade lower today due to profit locking. Buy RCOM for a quick 20 percent gain. FM Mr.Chidembaram is expected to address press at 9.30am today. He is expected to answer various questions related to economy, banking system, ICICI BANK and its complaint against Motilal Oswal. If you are not able to view this mailer properly, please click here. We are aware that you are being misled by numerous malicious and baseless rumors. Many of these are via SMSes. Many of our customers have written in to us expressing solidarity and confidence in our relationship, and have mentioned they have dismissed these rumors, for which we are grateful. Still we know that these rumors may cause you distress and doubts. You are our valued customer and we would not like you to have any of these feelings. So we have now chosen to write to you directly to allay your concerns if any. Your bank has grown and achieved its status of pre-eminence due to the patronage and trust you have reposed thus far in us. We have made many an Indian smile with a house, car and every banking need dreamed of by Indians. I am sure nothing factually or otherwise has changed in our relationship that we should let baseless rumors cast doubts in your mind. We once again want to reaffirm to you that the bank you have built and assisted to grow to pre-eminence will be with you day and night. We take pride in serving you and being the bank of your first choice. We desire and request the continuance of your unwavering trust and relationship. We promise to you that not only your deposits but all your interests are safe and secure with us. In case you need to reach us, kindly write to us at customer.care@icicibank.com. ICICI Bank on Sunday filed a complaint against some brokers and websites that were creating panic among depositors and shareholders by spreading rumours about the financial health of the bank. The complaint filed before Additional Commissioner of Police Economic Offense wing of Mumbai Police said that certain people were acting in concert to spread "malicious rumours" through various media to gain financial benefits by hurting the bank reputation. The complaint which was also filed before Coimbatore Police said that "a broker/sub-broker (of major securities broker based in Mumbai) had been the origin of various sms" spreading wrong information about the financial health of the bank. One of the sms listed in the complaint read, "kindly withdraw all your deposits and cash in account with ICICI Bank as ICICI bank already rushed to RBI for insolvency." The accused are trying to spread false, baseless and malicious rumours about the financial status of the bank that contain knowingly false, baseless and incorrect statements against the bank that can lead a lay public astray, it said. These rumours, it said, are being spread with the intention of undermining the faith and confidence depositors and investors. Following the rumours, the shares of the ICICI Bank tumbled by over 20 per cent to Rs 364.10 on Friday. The concerted effort to spread malicious rumours could be new form of economic terrorism (akin to how counterfeit currency is put into circulation to lower the public faith and confidence, and cause national economic interests to be compromised), it said. Please don't spread rumors. Fall of ICICI Bank would cause great damage to Indian Economy . Your money in the ICICI Bank is very safe. Be Patriotic. Help the authorities to nab the criminals spreading baseless rumors. Asserting that its overseas lending was insulated from defaults, ICICI Bank on Sunday said a majority of its $12 billion loans abroad are to blue-chips like RIL, L&T, Tata and Birla group entities. “These loans have been actually extended to the overseas subsidiaries of large Indian blue-chip companies and are fully secured,” ICICI Bank Joint Managing Director Chanda Kochhar said over phone from Mumbai when asked if the bank’s overseas exposure is vulnerable to global meltdown. The advances extended account for about one-fourth of loan book, Kochhar said, emphasising that the bank was well within its prudential norm. “Loans have been disbursed to companies like Reliance, Tatas and Wockhardt and these are fully secured loans,” she said, adding that these also include those like L&T and Birlas. Asked about reports that its overseas loans were not fully secured, she said, “The exposure is largely to blue-chip companies...nothing is unsecured out of that.” “We have different collaterals in different companies. Most of them have underlined cash flow in every companies. Over and above we have taken additional collaterals like cash margin, shares etc,” she added. Hit by rumours about the bank’s high exposure to distressed global firms like Lehman Brothers, ICICI Bank’s shares have plunged sharply over past few weeks and fell by about 20 per cent on Friday to Rs 364.10. Kochhar said the credit profile of even its subsidiaries abroad was very good and stable and bank’s position have been vindicated by global rating agencies like Moody’s and S&P. 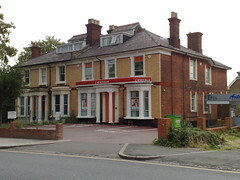 While assigning a strong credit profile for ICICI Bank’s UK subsidiary, credit rating agency Moody’s has said that it “has robust asset quality ratios with no loans classified as impaired, a rather conservative investment policy and no sub-prime assets.” The balance sheet size of the UK subsidiary is USD 9 billion and USD 4.5 billion is the size of the Canadian arm, Kochhar said. She noted that the bank’s foreign subsidiaries are well capitalised and they are in good shape. The capital adequacy ratio of its British arm is over 17%. The bank’s financial position remains strong and this fact has been already endorsed by RBI, Finance Ministry and now even global credit rating agencies, she added. Asked about the mark-to-market losses as of 30 September, Kochhar said, it is a listed company and at this point of time accounts are being finalised. As of June 30, the bank had MTM losses of about $93 million. Of this, the UK arm contributed $60 million and remaining came from Canadian subsidiary. ICICI BANK IS SENDING THIS SMS TO ALL ITS CUSTOMERS . Your deposits with ICICI BANK are safe. Your bank is well capitalized with good liquidity. Please do not listen to baseless rumours. Happy festive season. Reliance Money introduces Reliance Gold Exchange Traded Fund (RGETF) , an open ended Gold Exchange Traded Fund which will track the performance of Gold Bullion. The units issued under the scheme will represent the value of gold held in the scheme. It is designed to provide returns that, before expenses, closely correspond to the returns provided by domestic price of Gold. The expenses incurred in buying and selling units and the schemes ongoing expenses will be less than the costs associated with buying and selling of gold and storing and insuring gold bullion in a traditional gold bullion market. I recommend this type of investments. Please make sure that the exposure doesn't exceed 20% of your portfolio value. For more information on Reliance Gold Exchange Traded Fund (RGETF), Please click here. I have received a mail from Dr. N.SARAVANA KUMAR, IAS, District Magistrate & Collector, Supaul - 852 131 (Bihar) about Kosi river Flood. Though the mail is addressed to me (Dr. N.SARAVANA KUMAR, IAS, is my senior at our Alma Mater), I am publishing here because of it's public importance. Thanks to the breach in the main embankment of Kosi river in the Nepal border, flood situation has arisen in 5 districts of Bihar, the worst affected being Supaul. Now, the Kosi ( " Sorrow of Bihar") river has changed its entire course and is now passing in totally different direction, flooding hitherto nonflooded areas of 5 of my blocks. As the people have never anticipated floods, they were so shocked , many of them have left not only the district but the entire area. 1) The first priority work which the administration has undertaken is the massive evacuation exercise, removing the marooned and stranded people to safe areas. There was noteven a single boat in this area, when the flood situation has arisen. but we could manage 450 boats mostly country ones , within one week's time. But some panchayats falling in the main current of the river could not be reached with the ordinary boats we had. So, we sought for Army's help. 12 army columns have been drafted in this operation. Dry food packets have been distributed as immediate relief through Air dropping by choppers and also by boats which were sent for evacuation. 2) Out of the evacuated people, most of the upper and middle class people have managed to go out of the district or else statyed in their relatives' place. Most people mainly the poor, downtrodden who have no place to go have been given shelter immediately in the government relief camps. At one point of time, Supaul district had 76 government relief camps having a capacity of 1,30,000 providing facilities like cooked food, drinking water, medical facility, fodder for cattle etc.. since last 45 days. This herculean task is further complicated by the fact that the governmnet staff are not used to this type of work like running relief camps for such a long time and evacuating people through boats.Then, they are being given dress and vessels under the CM Relief Fund. Non-governmental agencies came in large and unmanageable numbers in the initial days, but not to blame them, they could not carry on the relief works after few days. We have evolved a mechanism of regulating the NGOs and private players who wanted to contribute their bit in relief works. None of them have been allowed to do any relief work with out the permission from district administration. They have been channelised in such a way that relief materials doesnot accumulate in few particular places but could reach the needy in remote areas too. NGOs have been totally banned from putting up their banners / flags in relief operations. Those NGOs interested in just putting up banner and getting photographed were actively discouraged and banned. this has helped in screening out nonserious / fly overnight NGOs. Weekly NGO coordination meeting was organised at my level to regulate them effectively and also to escape from the accusations from some NGOs that district administration doesnot take help from NGOs. 3) Thirdly, as per Calamity Relief Fund norms, each affected family is being provided 100 kg of foodgrains and Rs 2250 cash ( cash dole + for vessels + for clothings). So far , we could cover 1,10,000 families, including cash distribution of 23 crores. 4) The major challenge is going to be the rehabilitation and restoration of the affected area. Due to the devastation, connectivity / accessibility is a major problem which we are trying to address out. Rehabilitation package is being given a final shape by the state level committee. It seems this is going to be the more challenging work. Now, as the water level is receding steadily, people have slowly started moving back to their areas. Still, agricultual land is inundated with water, most areas being silted with sand upto 5 feet. Roads, Bridges, Buildings have seen devastating damage. True the water level is receding but surely, the problems of the people of affected area are going to remain for few more months atleast. ANY SERIOUS NON-GOVERNMENTAL AGENCY COMMITTED AND INTERESTED IN REHABILITATION AND RESTORATION WORK COULD APPROACH THE HIGH LEVEL COMMITTE AT THE STATE LEVEL UNDER THE CHAIRMANSHIP OF DEVELOPMENT COMMISSIONER, GOVT. OF BIHAR, PATNA OR ELSE ME. Keep suggesting me better ways of rehabilitation and restoration !! 06473 - 223112 (O ). Which sensex company will be the highest gainer today? Guess and post your views before 3.00pm in the comments. Winners will get set of 3 ebooks about Options trading. Ebooks bill be sent to your email ID. Things look pretty gloomy this Friday morning. More gloomy than we have ever felt. None of the individual steps taken by the US , Europe or the orchestrated ones like the interest rate cuts on Wednesday taken by nations across the world seem to be working. 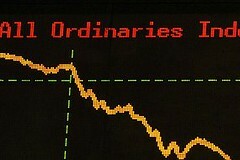 The financial markets seem to have fallen in quick sand, in which the more efforts you make to come out, you sink more. The Dow has fallen 678 points on Thursday and is below the 9000 mark, at 8579. The Asian indices too have slumped in response. These are the views of Mr. V.K. Sharma which I strongly agree. A new web site called http://www.nobrokerage.in connects Property owners, Buyers and Tenants. Though it charges nominal l posting fee and subscription fee, it charges zero brokerage. For a detailes FAQ, Please click here. Q2 FY09 is unlikely to spring up any major surprises either positive or negative. Therefore, the upcoming IT result season would likely be a non-event with respect to stock performance. We think Q2 FY09 would not bear the brunt of the recent bankruptcies/nationalization/acquisition of the various large BFSI companies in the US. As these unfortunate events unfolded only towards the end of quarter, we suspect any critical business impact only from Q3 FY09. In Q2 FY09, we expect modest US$ growth (2-5% qoq) but strong rupee growth (5.5-9.5% qoq) in revenues due to the sharp rupee depreciation. Operating margin is likely to improve materially for most companies except for those who have implemented salary hikes (Satyam, HCL Tech and Wipro). We expect Infosys and TCS to lead Q2 FY09 performance with double-digit operating profit and earnings growth. Click here for a detail note on the same. It is a clear warning for us. We should not be carried away with the present quarterly results of IT companies. Stay away from IT companies Till March for any fresh exposure. Image by Getty Images via DaylifeThe US Federal Reserve has reduced the lending rate by 50 bps to 1.50%. Dow futures bounces back. It seems most of the Central banks would follow suit. Accordingly, the Bank of Canada, the Bank of England, the European Central Bank, the Federal Reserve, Sveriges Riksbank, and the Swiss National Bank are today announcing reductions in policy interest rates. The Bank of Japan expresses its strong support of these policy actions. As Infosys is declaring it's guidelines on Friday, short sellers may be strangled and squeezed. If RBI cuts CRR by another 1%, market would bounce back by atleast 300 points. Update: Market in fact has fallen to a new low despite CRR Cut due to panic and very weak global cues. ICICI Bank in association with Dishtv today launched Interactive Banking Service “ICICIATIVE”. This will enable Dish TV viewers to access information on ICICI Bank products and services, from the convenience of their homes. Through ICICIACTIVE, Dish TV viewers will be able to get information about various types of ICICI Bank accounts and deposits that suits their need. The range of information will include product features, EMI amount on various loans, eligibility criteria, documentation, time required for processing a request, bank’s ATM / branch locators, which will enable them to take relevant financial decisions. Information related to these products and services will be shown on the DISHTV TV screen along with the Toll free Customer Service number which will allow the viewers to call and apply or seek further information on a product, of their choice. National Stock Exchange of India Limited and CRISIL Limited have jointly sponsored the development of an online service in order to facilitate and promote the development of markets for corporate bonds and securitised debt. 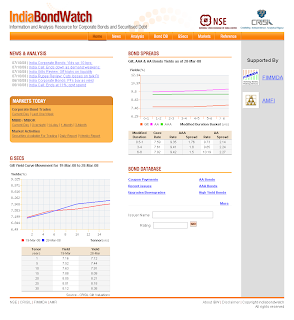 The website www.IndiaBondWatch.com is a comprehensive online resource for information and analysis for these markets and would be developed as a one stop shop for all information on corporate bonds and securitized debt. Logically integrated validated bond information that would be critical and basic to any price discovery is available in this the website. Image via CrunchBaseImage via CrunchBaseImage via CrunchBaseAfter a very long time, Yahoo! improves it's old calendar interface and all new Ajax based free calender has been introduced. You can switch here. Before switching do remember that the following features of old calendar are not available at present. Sync using Yahoo! Autosync or Intellisync for Yahoo! For switching please click here. No analysis is needed. World markets are tumbling. Today market may crash.Safely go short . World is full of fear and panic. No sign of life in the market. As tomorrow is the market holiday, play only intra day that too in short side. I don't expect any institutional investment buying today. Market may go down by atleast another 150 points today. My hopes are diminishing. When will we again see 4000? Yesterday NTPC alone showed some life. Don't short that counter. You can short Reliance, RPL and ICICI Bank. 3600! Still counting.Where are those TV advisers who wanted us to "Average" down the price? Now it is clear that they are no experts. Not even our finance minster, SEBI Chairman and RBI Chief!!! They are either busy with reversing previous policy measures or announcing Adhoc rate cuts. One day they wanted to bring down inflation and the very next week they wanted to increase the money supply. Surprising thing is that they still have learned audience, and the show is going on. Present market condition is due to delivery based selling of cash strapped FIIs and weak global cues. Fear dominates market. Every week, market is making a new bottom which is a clear bearish sign. When FIIs are selling, no technical level would hold. Still some FII are saidto be begging to offload their Reliance share for a 10% discount to market price. Rupee also making new lows everyday. It adds salt to the wounds of FII.Today market may open with some negative gap and then slowly started to move up. It may be short lived. As crude trade below $90,Global sell off may not last long. I advice investors to take exposure in Gold ( ETFs) @ about 10-20 % of their portfolio. 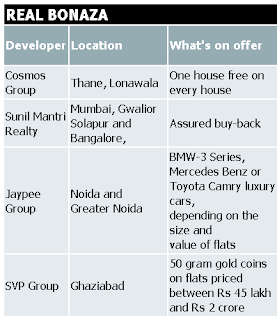 You can invest as little as Rs.600 per unit (1 unit approx. equals to half a gram) in NSE. I don't wish to do the futile exercise of predicting today's market range. Long live Indian Equity Investors. After several unsuccessful attempts to form a base around 4,280 (38.2% retracement from the previous high on monthly charts) in July and August, the Nifty slid to new lows of 3,715 in September. Every attempt at a recovery has been futile due to sustained selling from FIIs. Friday's session (October 3, 2008) was no different and the Nifty closed lower by 3.4% at 3,818. In the near term, a lot will depend on the developments over the weekend in the US with respect to their bailout package. However, there is every chance of the Nifty sliding to 3,650, which seems to be the next support. This is the 50% retracement level and coincides with the support of the long term trendline at 931 levels from May 2003. Even if the bailout does go through, any sentimental upmove would be short-lived and the Nifty would struggle to sustain a level higher than 4,200-4,250. As every passing minute rumors about ICICI Bank are increasing , ICICI Bank decides to start an official webpage to counter these baseless and motivated rumors. You can visit the page here. It contains all the latest press releases and articles published on ICICI Bank in the Indian media. You can book LPG Gas refill online now. If you are a HPCL customer, you can register here and book here. If you are a Bharat Gas customer, you can register here, and book here. It seems, Indane would follow others soon. Booking LPG refill would save your time and in case of any complaints, you can give the computer generated, time stamped email acknowledgement as proof. Today market may trade in a range ahead of crucial vote on 700 billion package in US. I expect market would soon trade above 4000. Hence don't short. During decline, buy Nifty 4100 calls for a decent profit. Investors can wait for some more time to pick fundamentally sound stocks. If ICICI Bank stock hammered another 20 percent then buy it is rumored that one of the prominent Indian industrial house trying it's luck to enter into banking space through ICICI Bank. There are number of postal saving schemes available for totally risk averse Indian depositors. 100% of your money is protected by Central Government Guarantee. Some of the popular schemes are. Money doubles in 8 years & 7 months. Facility for premature encashment . No limit on investment. Available in denominations of Rs. 100/-, Rs. 500/-, Rs. 1000/-, Rs. 5000/-, Rs. 10,000/-, in all Post Offices and Rs. 50,000/- in all Head Post Offices. 8% per annum payable i.e. Rs. 80/- will be paid every month on a deposit of Rs 12000/-. In addition 10% bonus is also payable on maturity i.e. Rs. 1200/- will be paid as bonus after 6 years for deposit of Rs. 12000/-. Deposit can be made In multiples of Rs. 1000/- Maximum Rs. 3 lakhs in Single account and Rs. 6 lakhs in joint account. Maturity period is 6 years. Can be prematurely encashed after one year at 3.5% discount. However, no such deduction shall be made if the account is closed after three years from the date of opening of such account. Interest & bonus deductible under Sec. 80-L of I.T. Act. 8% per annum from 1.3.2003 compounded yearly. Minimum Rs. 500/-. Maximum Rs. 70,000/- in a financial year. Deposits can be made in lumpsum or in 12 installments. Deposits quality for Income Tax Rebate under Sec. 80ccc-of I.T. Act. Interest is completely tax free. Withdrawal is permissible every year from 7th financial year. Loan facility available from 3rdfinancial year. No attachment under court decree order. Minimum Rs. 200/-, and in multiple thereof. No maximum limit. On maturity Rs. 10/- account fetches Rs. 728.90. Can be continued for another five years on year to year basis. Minimum Rs. 10/- per month or any amount in multiples of Rs. 5/-. No maximum limit. One withdrawal upto 50% of the balance allowed after one year. Full maturity value allowed on R.D. Accounts restricted to that of Rs. 50/- denomination in case of death of depositor subject to fulfillment of certain conditions. 6 & 12 months advance deposits earn rebates. Interest @ 3.5 % per annum on individual /Joint and group accounts. 3% per annum on public accounts. Minimum Rs. 50/- Maximum Rs. 1,00,000/-for an individual account. Rs. 2,00,000/- for joint account. No limit on group, Institutional or official capacity accounts. Cheque facility available. Interest is completely tax free. Interest compounded six monthly but payable at maturity. Rs. 100/-grows to Rs. 160.10 in 6 years. Annual accrual of interest on investment of Rs. 100/- is as under and in proportion for other denominations. Minimum Rs. 100/- No maximum limit. Available in denominations of Rs. 100/-, 500/-, 1000/-, 5000 & Rs. 10,000/-. Special deposit schemes for Retiring Employees of Public Sector Companies also available. Visit your nearest post office to know more. Google Labs recently introduced yet another Free service called SMS Channels. If you wish to get INVESTCHIPS post alerts as soon as it is posted, Please subscribe to Google free SMS alerts on your mobile, Please click here to subscribe. At present only Indian Mobile numbers are supported.